If You Are Tired Of Constant Discomfort Of Bleaching, Waxing, And Shaving Of Unwanted Hairs On Your Certain Body Parts, You Need To Visit Flawless Laser Center Los Angeles For Permanent And Pain Free Removal Of Your Undesired Hair. Their Well trained, Qualified And Certified Professional Team Use GentleLASE Laser Technology To Reduce Your Growth With Each Session And Provide You Quick And Permanent Hair Removal In An Utmost Safe Manner. Services Of Flawless Laser Center Los Angeles Laser Hair Removal: World-class Laser Hair Removal Equipment Is Used By Professional Team To Remove Your Undesired Hair In A Safe And Painless Manner. Injectables: Cosmetic Medicine Fillers Make You Look Years Younger Than Your Actual Age And Improves Your Overall Skin Appearance. Ultrashape: It Is The Only Non-invasive, Non-surgical Body-shaping Program That Destroys Fat Cells Selectively. 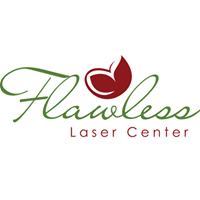 Flawless Laser Center in Burbank is a company that specializes in Beauty Shops. Our records show it was established in California.